Jammu Sep 14 (IANS) The Bharatiya Janata Party (BJP) said on Friday that its former coalition partner the Peoples Democratic Party (PDP) has lost both its credibility and political bastion. 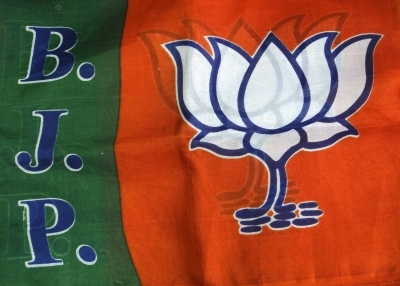 BJP spokesman Anil Gupta said in a statement here: "South Kashmir areas once considered to be the political bastion of the PDP are proving to be big minefields for the party. "Its leaders are finding it difficult to even visit their constituencies in these areas. "Former Chief Minister Mehbooba Mufti promoted dynastic politics during her tenure and is now finding excuses to delay Panchayat and local bodies elections " Gupta said. The BJP leader said the Peoples Democratic Party had also lost its credibility. "The reality is that the party is using Article 35-A to emotionally exploit the people of Kashmir and create a communal wedge under the false notion that it can regain its lost credibility." He said both the PDP and National Conference were shying away from local body and Panchayat polls became of the fear that they would lose. Both parties have said they won t take part in these elections saying the situation on the ground was not conducive for the polls.